Raise your hand if you think men are difficult to shop for! I do! I never know what to buy my husband for any holiday, so he usually just tells me what he wants and I get that. Or worse- he buys himself something and tells me what I bought him after. 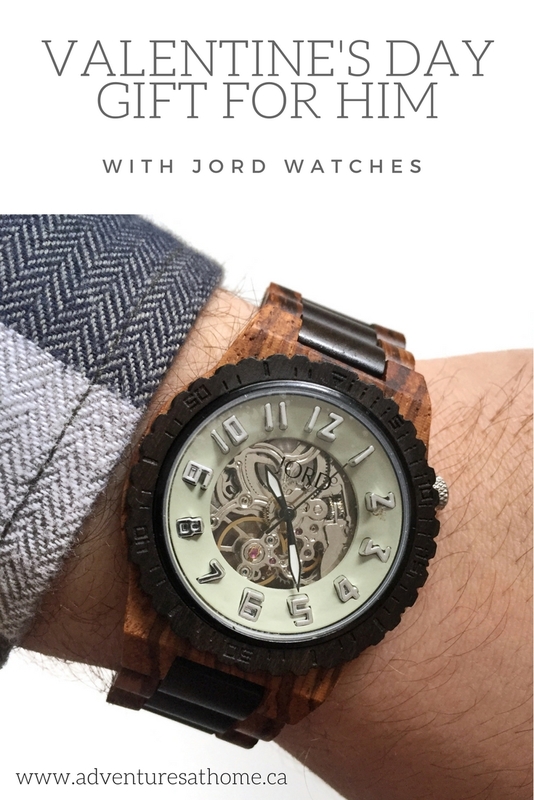 He's been hinting around that he wanted a stylish watch for a while now, so I was really excited to collaborate with JORD Watches on this post. 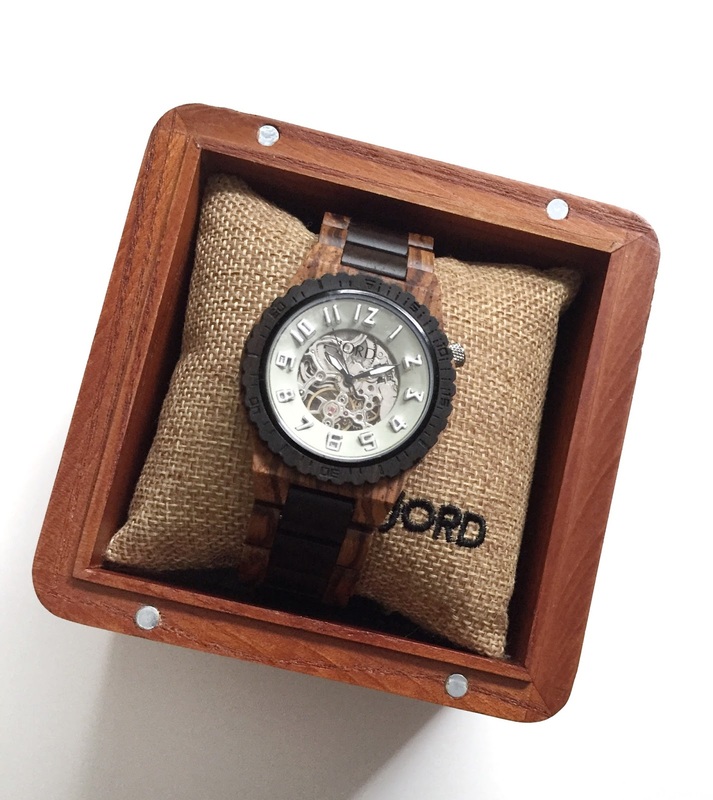 JORD Watches are beautifully hand crafted from natural materials. 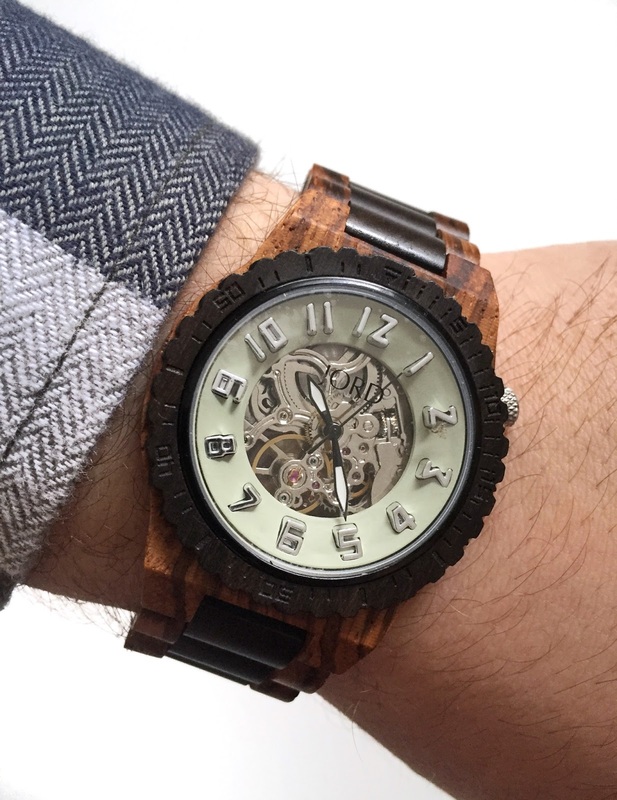 The men's wood watch that we received is from their Dover series and is made of zebrawood and dark sandalwood. 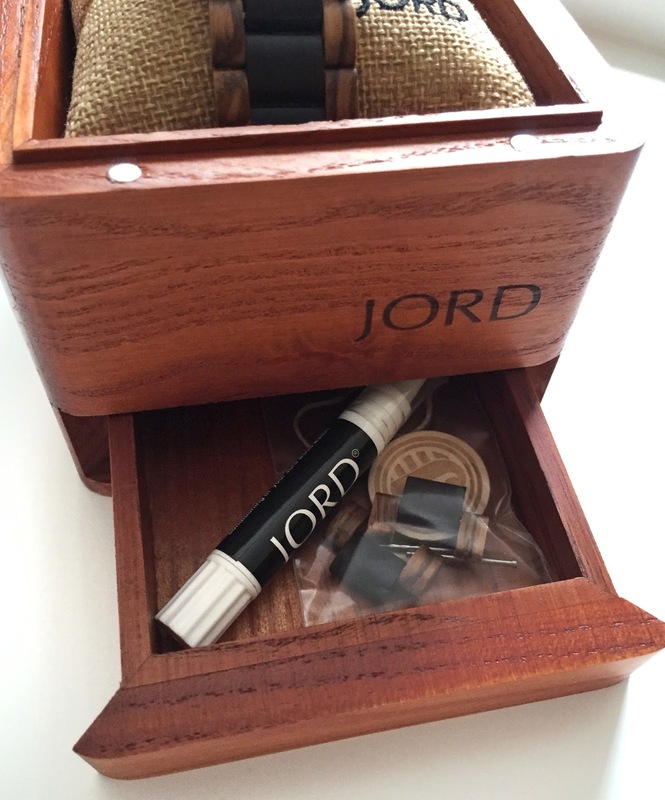 They all come in these beautiful wooden boxes to store the watch. Each box also includes a drawer to store the maintenance products, extra links, etc. My husband is a mechanic and spends all day working in a shop. He rarely gets to wear jewelry of any kind unless we go out so when we does get jewelry he wants it to be special, like these unique watches. When we ordered it, they had the option for us to choose my husband's wrist size so it would be sized when we received it. Unfortunately we mis-measured him and it came a little bit too big. A quick visit to our local watch repair shop fixed that issue in 5 minutes for $10! The watch repairman had no issues sizing it for us and we keep the spare links in the bottom drawer of the box. 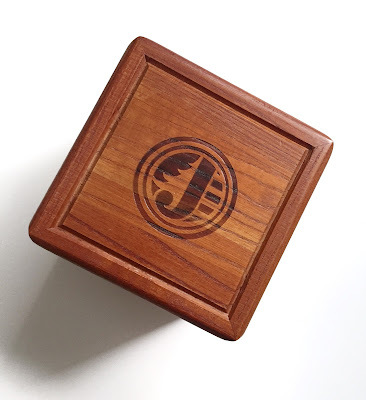 Interested in getting one of your own? Click this link for a chance to win $100 towards a JORD watch! Contest ends February 11th!